This report grades each state on its policies for managing the prescription pain pill epidemic. The report begins with a description of the scope of the problem: current estimates say around 6.1 million U.S. citizens are either addicted to or misusing prescription medications. Sales of prescription opioids quadrupled in the U.S. since 1999, and so have drug overdose deaths. In many states, more people die from drug overdoses than from motor vehicle accidents. The costs of addiction and drug misuse are enormous; in 2011, a study estimated that the nonmedical use of prescription opioids costs the U.S. around 53.4 billion dollars each year, in lost productivity, increased criminal justice expenditures, drug abuse treatment, and medical complications. The report identifies specific groups at high risk for addiction. Men aged 24 to 54 are at highest risk for drug overdose deaths, at about twice the rate of women, although the rate of increase in overdose deaths in women is worrisome. Teens and young adults are at higher risk, as are soldiers and veterans. (Please see my blog of October 19th for more information about veterans.) Rural residents are twice as likely to die of an overdose as urban residents. 	Does the state have a prescription drug monitoring program? 	Is use of the prescription drug monitoring program mandatory? 	Does the state have a law against doctor shopping? 	Has the state expanded Medicaid under the ACA, so that there will be expanded coverage of substance abuse treatment? 	Does the state require/recommend prescriber education about pain medication? 	Does the state have a Good Samaritan law? These laws provide some degree of immunity from criminal charges for people seeking help for themselves or others suffering from an overdose. 	Is there support for naloxone use? 	Does the state require a physical examination of a patient before a prescriber can issue an opioid prescription, to assure that patient has no signs of addiction or drug abuse? 	Does the state have a law requiring identification to pick up a controlled substance prescription? 	Does the state’s Medicaid program have a way to lock-in patients with suspected drug abuse or addiction so that they can get prescriptions from only one prescriber and pharmacy? I thought several of these were bizarre. Several are great ideas, but others…not so much. For example, I think a law against doctor shopping leads to criminalization of drug addiction rather than treatment of the underlying problem. The addicts I treat knew that doctor shopping was illegal, but still took risks because that’s what their addiction demanded of them. Such laws may be a way of leveraging people into treatment through the court system, however. And where are the indicators about addiction treatment? Toward the very end of this report, its authors present data regarding the number of buprenorphine prescribers per capita per state, but make no mention of opioid treatment program capacity per capita for methadone maintenance. Buprenorphine is great, and I use it to treat opioid addiction, but it doesn’t work for everyone. And there’s no data about treatment slots for prolonged inpatient, abstinence-based treatment of opioid addiction. Expanded Medicaid access for addiction treatment is a nice idea… but not if doctors opt out of Medicaid because it doesn’t pay enough to cover overhead. If expanded access is not accompanied by adequate – and timely! – payment to treatment providers for services rendered, having Medicaid won’t help patients. Doctors won’t participate in the Medicaid system. I don’t. I have a few Medicaid patients whom I treat for free. It’s cheaper for me to treat for free than pay for an employee’s time to file for payment and cut through red tape. In one of the more interesting sections in this report, each state is ranked in overdose deaths per capita, and the amount of opioids prescribed per capita. The ten states with the higher opioid overdose death rates are: West Virginia, with 28.9 deaths per 100,000 people; New Mexico, with 23.8 deaths per 100,000; Kentucky with 23.6, then Nevada, Oklahoma, Arizona, Missouri; then in eighth place is Tennessee, with 16.9 deaths per 100,000. In ninth and tenth places are Utah and Delaware. Florida came in at number 11, with 16.4 deaths per 100,000. North Carolina placed 30th in overdose death rates. We’ve had a big problem with prescription drug overdose deaths. From 1999 until 2005, the death rate rose from4.6 per 100,000 to 11.4 per 100,000. But at least our rate has not increased since 2005. The rate in 2010 was still 11.4. It’s still way too high, but many agencies have been working together over the past six years to turn things around. In a future blog, I intend to list the factors I think helped our state. Use of the ten indicators does appear to correlate with reduced rate of increase of overdose deaths. In other words, states with more laws and regulations have had a slower rise in overdose deaths than states with fewer laws and regulations, though there are some exceptions. This report also compares states by the amount of opioids prescribed per year, in kilograms of morphine equivalents per state per 10,000 people. Florida, not surprisingly, came in at number one, with 12.6 kilograms per 10,000 people. Tennessee and Nevada tied for second and third place, with 11.8 kilos per 10,000 people. The next seven, in order, are: Oregon, Delaware, Maine, Alabama, West Virginia, Oklahoma, and Washington. Kentucky was 11th, with 9.0 kilos per 10,000. North Carolina doctors prescribe 6.9 kilos of opioids per 10,000 people per year, in 27th place and less than the national average of 7.1 kilos. It appears to me that amount of opioid prescribed per capita does correlate, somewhat, with overdose death rates. Let’s look closer at Tennessee, the state who, just a few months ago, rejected a certificate of need application for an opioid treatment program to be established in Eastern Tennessee. In 1999, Tennessee had an overdose death rate that was relatively low, at 6.1 per 100,000 people. By 2005, it zoomed to 10.4 per 100,000 people, and by 2010, rocketed to 16.9 per 100,000 people, to be in the top ten states with highest overdose death rates. Furthermore, Tennessee is now second out of fifty states for the highest amount of opioids prescribed per 10,000 people. Only Florida beat out Tennessee. And lately Florida has made the news for its aggressive actions taken against pill mills, which may leave the top spot for Tennessee. West Virginia is no better. It was the worst state, out of all fifty, for overdose deaths, at 28.9 per 100,000 people in 2010. Wow. If you think lawmakers are asking for help from addiction medicine experts…think again. West Virginia legislators recently passed onerous state regulations on opioid treatment programs. That’s right, lawmakers with no medical experience at all decided what passed for adequate treatment of a medical disease. For example, they passed a law that said an opioid addict had to be discharged from methadone treatment after the fourth positive urine drug screen. In other words, if you have the disease of addiction and demonstrate a symptom of that disease, you will be turned out of one of the most evidence-based and life-saving treatments know to the world of medicine. West Virginia passed several other inane laws regulating the medical treatment of addiction. Getting back to the TFAH study, the report calculates that there are 21.6 million people in the U.S. who need substance treatment, while only 2.3 million are receiving it. This report identifies lack of trained personnel qualified to treat addiction as a major obstacle to effective treatment. 	Improve prescription monitoring programs. Nearly all states have them, except for Missouri and Washington D.C.
States should be able to share information, so that I can see what medication my North Carolina patients are filling in Tennessee. Right now, I have to log on to a separate website to check patients in Tennessee, so it takes twice as much time. Tennessee is already sharing data with several other states, but not with North Carolina, or at least not yet. TFAH also recommends linking prescription monitoring information with electronic health records. 	Easy access to addiction treatment. Duh. The report accurate describes how underfunded addiction treatment has been, and says that only one percent of total healthcare expenditures were spent on addiction treatment. We know how crazy that is, given the expense of treating the side effects of addiction: endocarditis, alcoholic cirrhosis, hepatitis C, gastritis, cellulitis, alcoholic encephalopathy, emphysema, heart attack, stroke, pancreatitis, HIV infection, gastrointestinal cancers, lung cancer…I could go on for a page but I’ll stop there. Access to treatment is limited by lack of trained addiction professionals. Doctors abandoned the field back in 1914, when it became illegal to treat opioid addiction with another opioid. Even with the dramatic success seen with methadone and buprenorphine treatment of opioid addiction, there are relatively few doctors with expertise in this treatment. This reports shows that two-thirds of the states have fewer than six physicians licensed to treat opioid addiction with buprenorphine (Suboxone) per 100,000 people. Iowa has the fewest, at .9 buprenorphine physicians per 100,000 people, and Washington D.C. had the most, at 8.5 physicians per 100,000 people. I’m really bothered by the lack of attention to the number of methadone treatment slots per capita. That’s information I’d really like to have. But the authors of this report did not deign to even mention methadone. Even with forty-five years’ worth of data. 	Increased regulation of pill mills. 	Expand programs to dispose of medications properly. In other words, make sure citizens have a way to get rid of unused medication before it’s filched by youngsters trying to experiment with drugs. I know many tons of medications have been turned in on “drug take-back” days. But I’ve never seen any data about how much medication is addictive and subject to abuse, versus something like outdated cholesterol lowering pills. 	Track prescriber patterns. Another benefit of prescription monitoring programs is that officials can identify physicians who prescribe more than their peers. Sometimes there’s a very good reason for this. For example, a doctor who works in palliative care and end-of-life care may appropriately prescribe more than a pediatrician. I get uneasy about non-physicians evaluating physicians’ prescribing habits, though. I think this is best left up to other doctors, enlisted by the state’s medical board to evaluate practices. 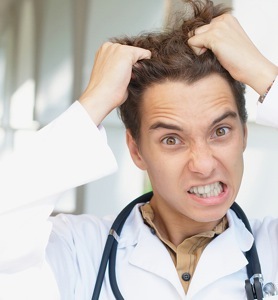 Other doctors are better able to recognize nuances of medical care that non-physicians may not understand. 	Make rescue medication more widely available. In this section, the report’s authors make mention of Project Lazarus of Wilkes County, NC, a public health non-profit organization dedicated to reducing opioid overdose deaths, not only in that county, but state-wide. Project Lazarus is well-known to me, since I work at an opioid treatment program in Wilkes County. 	Ensure access to safe and effective medication, and make sure patients receive the pain medication they need. Obviously, we want opioids available to treat pain, especially for acute pain. Hey, you don’t have to convince me – read my blog from this summer about how grateful I was for opioids after I broke my leg. Opioids were a godsend to me in the short-term, and knowing what I do about opioids, I didn’t use them after the pain subsided. It was an interesting report, though I saw some unfortunate gaps in their information, particularly regarding opioid addiction treatment availability. But at least this is another agency looking at solutions and making some helpful recommendations. 1. Weiss et al, “Adjunctive Counseling During Brief and Extended Buprenorphine-Naloxone Treatment for Prescription Opioid Dependence,” Archives of General Psychiatry, 2011;68 (12):1238-1246. I had a bit of writer’s block this week. I was pondering what topic I should tackle next on my blog. Then I got a phone call from a dentist’s nurse, and voila, problem solved. I’m going to change the name and description of my patient to protect her identity. “Sally” has been doing great the entire six months she’s been my patient. Sally was ready for recovery. Over the last ten years, she’s been to multiple inpatient programs, for up to three months at a time, for treatment of her opioid addiction. She had achieved some time in abstinent recovery, ranging from a few weeks up to nine months, but relapsed because she never felt normal off all opioids. She continued to have low-grade nausea, fatigue, and felt achy most days. When she saw me last summer, she’d been in a terrible relapse for around eight months, and had been injecting the opioid pills prescribed by a local pain clinic. Her husband was supportive, and appropriately worried Sally was going to die of an overdose. Sally wanted to start Suboxone, but wasn’t expecting much from it. She’d investigated Suboxone on the internet, and thought her opioid tolerance was too high for this medication to work. However, but she wanted to try every option before entering a methadone treatment center. I also suspected Suboxone wouldn’t be strong enough, but agreed with her that it would be worth a try. She felt normal within the first week. We started with 4mg on the first day, and then went to 8mg on day two. When we went to 16mg on day three, Sally was amazed and relieved that she felt back to normal. She didn’t feel high and she didn’t feel in withdrawal. She hasn’t looked back since. Every urine drug screen, done nearly every visit, has been positive only for Suboxone. She goes to 12-step meetings, has a sponsor, and does service work at her home group. She’s relatively happy, though she still takes an anti-depressant to prevent a relapse of her depression, which has been severe in the past. Anyway, I say all of this to point out how well she’s doing. She’s also getting her physical health concerns addressed, and started seeing a dentist to get her teeth fixed. She had neglected them during active addiction, and needed a great deal of work done. She opted for dental implants. 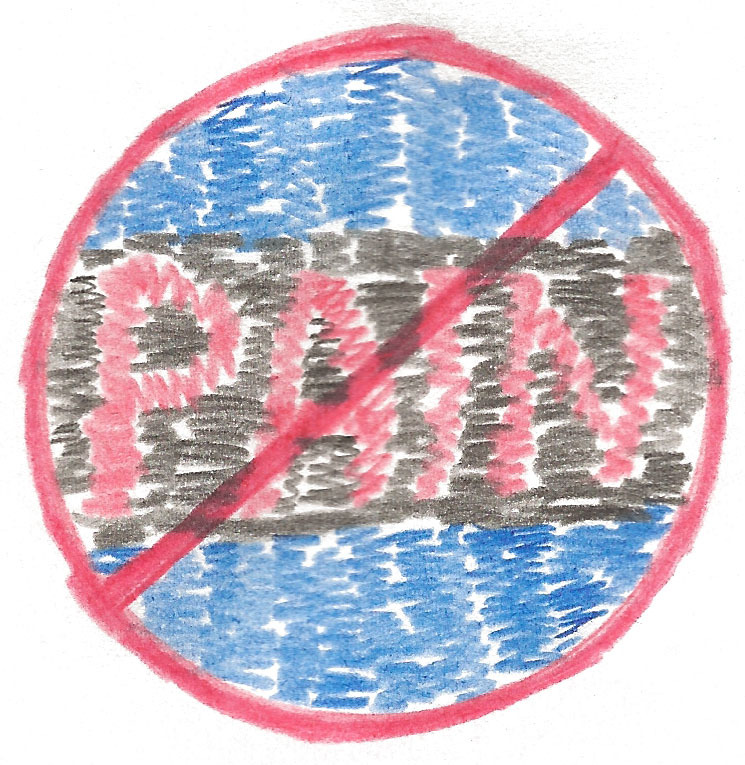 At her last visit, we discussed pain management after her procedure. The pain from many dental procedures can sometimes be managed with anti-inflammatories, but I knew dental implants were more complicated. I told Sally I’d like to talk with the doctor who will be managing her post-operative pain. I wrote down my cell number for Sally to give to her doctor, rather than my office number, to allow her dentist to get in contact with me more easily. I told Sally to stop her Suboxone 36 hours pre-procedure, so that her opioid receptors wouldn’t be so blocked that short-acting opioids would be ineffective. We planned for her husband to hold the bottle of pain pills, and dispense as directed by her oral surgeon. I instructed her how to make the change back to Suboxone once she no longer needed pain medication. I planned to see Sally one week after the procedure, so I could make sure she was OK, and back on Suboxone. I heard nothing until this morning. I got a call on my cell phone from Dr. “X’s” nurse. She said Dr. X had just finished the procedure, but didn’t feel comfortable prescribing opioids for an addict. Dr. X preferred for me to handle her post-operative pain. “I know he does…” it came out as an evil splutter because I was thinking about how much Sally was probably paying this guy, who should have told her in advance that he wasn’t going to prescribe post-op pain medication. I know dental implants are not cheap and probably not covered by insurance. And I suspected this dentist, to whom she was likely paying a big pile of money, looked down on Sally because of her history of addiction. I felt anger. The dilemma was solved because apparently, a doctor was listening to our conversation at the nurse’s elbow. He indicated to the nurse that he would be willing to prescribe the usual amount. I was miffed that the doctor didn’t talk to me himself, but he may not have been the one who did Sally’s procedure. At any rate, that was what I wanted anyway, so I tried to be helpful and give them information for future use. At that point it sounded like the nurse would rather get on with her work day than listen to me try to explain how addiction is a medical problem that can be managed just like any other chronic disease. I was angry because the dentist didn’t call me before the procedure, and because he wasn’t honest with the patient. He neglected to tell her about his plans to write for less than usual the amount of pain medication. I was sad because I suspected that he looked down on this nice lady her because of her history of addiction…but not so much that he wouldn’t take her money for fixing her teeth. It’s a shame, because that dentist could have learned something from Sally, like how she’s a funny, warm person who has courageously overcome a devastating and life-threatening illness. The CDC points out that prescription opioid overdose deaths now outnumber heroin and cocaine overdose deaths combined and prescription opioids were involved in 74% of all prescription drug overdose deaths. The breakdown of their data by state is particularly interesting. The states with the highest rates of opioid overdose deaths are, in descending order: New Mexico, with a rate of 27 deaths per 100,000 people, then West Virginia, Nevada, Utah, Alaska, Kentucky, Rhode Island, Florida, Oklahoma, and Ohio. Tennessee missed the top ten, but was still 13th highest in overdose deaths, with a rate of 14.8. North Carolina’s rate was 12.9 per 100,000 people, which put North Carolina 24th out of 50 for prescription overdose deaths. That’s too high, but much improved since 2005, when North Carolina was in the top five states for prescription opioid overdose deaths. The lowest opioid overdose death rate was seen in Nebraska, with 5.5 deaths per 100,000 people. The CDC also analyzed information about the amount of opioids prescribed in each state. They measured kilograms of opioid pain relievers prescribed per 10,000 people in each state. The state with the highest rate had over three times the rate of the state with the lowest rate. It’s no surprise that Florida had the highest amount, at 12.6 kilograms per every 10,000. Illinois had the lowest amount, at 3.7 kilograms per 10,000 people. The big surprise: Tennessee has the second highest amount of opioids prescribed, adjusted by population. (OK, they tied for second place with Oregon). Yep. Tennessee, the state that refuses to allow more opioid treatment centers to be built within its borders, has 11.8 kilograms of opioids prescribed per every 10,000 people. But since I want to devote an entire blog entry to Tennessee’s backward outlook on addiction and its treatment, I’ll defer further comments about that state. Sales of prescription opioid quadrupled from 1999 to 2010. According to the CDC, enough opioids were sold last year to provide a month of hydrocodone, dosed 5mg every four hours, for each adult in the U.S. The CDC estimates that for every prescription overdose death, there are at least 130 more people who are addicted or abuse these medications, and 825 who are “nonmedical users” of opioids. (I’m still not sure how nonmedical users differ from abusers. To me, if it’s nonmedical, that’s abuse.) Not all of the 825 are addicted or will become addicted – but they are certainly at risk. Just like what was found in other studies, people who abuse opioids are most likely to get them for free from a friend or relative. So if you are giving pain pills to your friends or family members, you are part of this large problem. In 2008, 36,450 people died from prescription overdose deaths. That was nearly equal to the number of people who died in auto accidents, at 39,973. In fact, in seventeen states, the number of overdose deaths did exceed auto accident deaths. The CDC authors conclude that the prescription opioid addiction isn’t getting any better, and in measurable ways, it’s worsened, with some states worse than others. The worst areas, not surprisingly, have higher rates of opioid prescribing that can’t be explained by differences in the population. To me, this means doctors in some states are overprescribing, or at least aren’t taking proper precautions when they do prescribe opioids. In my next blog entry, I’ll explain how people and organizations in North Carolina have been working hard to deal with the prescription pain pill addiction problem. Based on information from the CDC, it appears my state has made some major progress, at least compared to one of our neighboring states. Physical pain is a relapse trigger for recovering opioid addicts, especially after they’ve tapered off maintenance medications. While on maintenance medications, most patients can no longer get high from opioids, and so are less likely to take prescribed opioid medication in destructive ways. Once off maintenance medications, patients can again feel euphoria from opioids, even when taking opioid medications as prescribed. This can lead to medication misuse and eventual relapse back into active addiction. Pain can be acute (think broken bones or a kidney stone), or more chronic and persistent, as in chronic back pain. Acute pain by definition resolves within a short time, and there are ways to reduce the risk of relapse for the relatively short time opioids are necessary. Before a patient on maintenance medications (methadone or Suboxone) even begins a taper, he should have a clear plan for handling an acutely painful event. Have a dependable non-addict hold your pill bottle and dispense to you as prescribed. Tell your circle of supporters, whether that’s friends, family, and/or your 12-step group members that you need to take pain pills, and could use extra support and accountability. A patient with chronic pain obviously has a more complicated situation. Preferably, the recovering opioid addict can find some way to manage the chronic pain without opioids. If that’s possible, then the patient can slowly bring down their dose of methadone or buprenorphine, knowing that if pain returns, there’s a non-opioid way to managing it. For a patient who can’t find an adequate non-opioid way to relieve chronic pain, staying on maintenance medications may be the best option. Methadone and buprenorphine (Suboxone) prevent opioid withdrawal symptoms for longer than 24 hours in most patients, which is why we use them to treat addiction. But the anti-pain effect wears off at about six hours after dosing. Therefore, methadone and buprenorphine may not be ideal for pain management, but may be enough to bring the patient’s pain to manageable levels. For this reason, a patient with both pain and addiction may reasonably decide to stay on maintenance medications. If such a patient does taper off maintenance medications, every flare of pain is a potential relapse trigger. For more on management of pain on maintenance medications like Suboxone and methadone, please see my blog entry of 10/16/11. Buprenorphine in its sublingual forms, tablet or film, is only indicated and approved for the treatment of opioid addiction. So what do doctors do when their Suboxone patients have pain? This is an area of medicine that’s still evolving. The treatment of pain depends on the type of pain and the expected duration of pain. 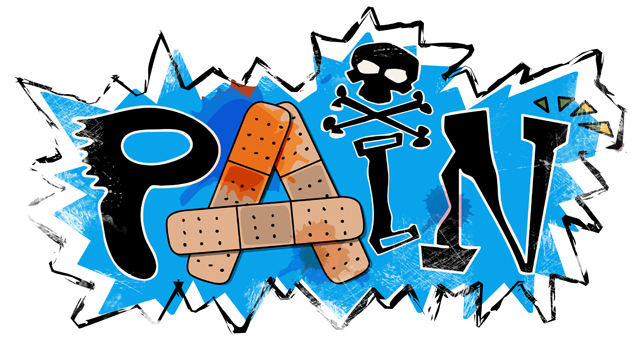 We can organize pain into mild, moderate, or severe categories, and into acute or chronic. Most doctors define acute pain as pain expected to last less than three months, and chronic pain as expected to last more than three months. Mild pain doesn’t always need an opioid medication. For example, many dental procedures cause pain that can be easily managed with anti-inflammatory medications like ibuprofen or Tylenol. Mild to moderate pain can sometimes be treated with Suboxone, either by increasing the patient’s total dose, or by dividing their same dose into multiple smaller doses, spread out over the day. Because the analgesic effect of a dose of buprenorphine wears off after about six hours, patients on Suboxone who also have pain can try this last method. For example, I have a patient who was taking 16mg of Suboxone per day when she began having back pain from overwork. She called me, and I suggested to her that instead of switching to another opioid, first try taking half of a Suboxone 8mg film four times per day. Her total dose stayed the same, but we spread it into multiple doses. She had enough pain relief with this maneuver and didn’t need to switch to any other opioids. Moderate to severe pain usually isn’t treatable with only Suboxone. Examples of moderate to severe acute pain would be a broken bone, or having surgery. Doctors use either of two methods. The first is to leave the Suboxone patient on his usual dose, and add another opioid for the treatment of pain. Doctors who chose this method say that Suboxone doesn’t completely block the analgesic effect of strong opioids, so patients will still get some pain relief. The second method, and the one I prefer, is to stop the Suboxone and switch to a stronger opioid for a short time, until the condition is resolved. When a patient with a history of opioid addiction needs opioids for pain, it does increase the risk of a relapse, of course. But leaving moderate to severe pain untreated isn’t an acceptable option. Plus, there are safeguards we can use to reduce the risk of relapse. For example, the doctor treating the painful condition should be aware of the patient’s higher risk of medication misuse. That doctor may wish to prescribe smaller amounts and see the patient more often. Small amounts of opioids may be less likely to trigger a patient than a big bottle with many pills. In some cases, the patient can identify a dependable non-addict who’s willing to hold the pill bottle and dispense to the patient as prescribed. The patient should contact people in her recovery network more often than usual, and if unable to get to regular recovery meetings, ask members to bring a meeting to her home. Besides the risk of relapse, it can be tricky to transition from full opioids back to Suboxone. For short-acting opioids like oxycodone or hydrocodone, the patient should stop these for a minimum of 24 hours before re-starting the Suboxone, or else risk the precipitation of withdrawal if taken too early. If the patient is taking an extended-release or long-acting medication, like methadone or MS Contin, she’ll have to wait up to 72 hours to be in enough opioid withdrawal to re-start Suboxone safely. Chronic pain is a different issue. If someone has opioid addiction and chronic pain, it’s obviously best if the pain can be treated by a non-opioid. If not, Suboxone may provide enough pain relief to make the patient reasonably comfortable. Suboxone can at least keep the patient out of withdrawal. Chronic pain and addiction is a difficult combination of medical problems to have, and sometimes there’s no good answer. Unfortunately, this blend of problems is all too common. Many people with chronic pain developed addiction as a complication of their treatment. Is Suboxone available in a patch? No, not to treat addiction. At least, not yet. However, buprenorphine, the active ingredient in Suboxone, is now available in the U.S. in a transdermal patch for use in patients with pain. It’s being marketed under the brand name Butrans by Purdue Pharma, the fine folks who also make OxyContin. Transdermal buprenorphine has been available in Europe since 2001, under the trade name Transtec. The patches are meant for patients with nearly constant moderate to severe pain. Each patch is meant to be worn for seven days, making it one of the longest-acting opioid patches on the market. 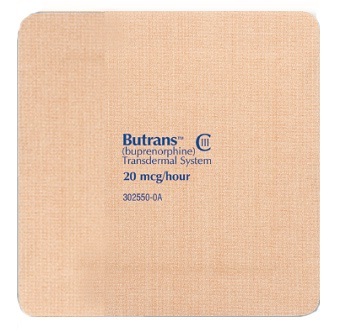 Butrans comes in three strengths: 5mcg/hour, 10 mcg/hr, and 20 mcg/ hour. This means that at the highest dose, the patient gets nearly half a milligram over twenty four hours. The patches have been inadequately studied for use in patients with addiction, and they aren’t approved for this purpose. I did find one open label study of nine patients, all physically addicted to opioids. In an inpatient setting, they were allowed to go into opioid withdrawal, then they were given a patch containing buprenorphine that lasted for three days. During that time, their withdrawal symptoms were improved. The symptoms decreased by about 50%, and did return somewhat after the patch was removed. The patch used in this study was said to have released 1.9 mg per day of buprenorphine, about four times more than the highest strength of the brand Butrans. 1. Lanier RK, Umbricht A, Harrison JA, Nuwayser ES, Bigelow GE, Evaluation of a transdermal buprenorphine formulation in opioid detoxification., Addiction, 2007 Oct; 102(10): 1648-56. Prescription monitoring programs are databases that contain lists of controlled substances a patient receives, the prescribing doctors, and the dispensing pharmacies. Usually, only approved physicians can get access to these databases. Prescription monitoring programs help prevent “doctor shopping,” which is the term describing the actions of a patient who goes from one doctor to another to get prescription pills, usually opioids, without telling the doctors about each other. Addicts do this to supply their ever-increasing tolerance for the drugs. Drug dealers do this to get pills to sell and make money. Forty-two states have approved the formation of prescription monitoring databases, and thirty-four states have operational databases. Florida was one of the last to approve the formation of such a program, in 2009, long after this recent wave of prescription pain pill addiction burned through the country. Now, the new Florida governor wants to cut this program out completely, before it even starts. Florida is infamous for its pain clinics. As a reporter for Time Magazine pointed out, there are more pain clinics in South Florida than there are McDonald’s franchises. In 2009, 98 of the top 100 prescribers of oxycodone in the nation were all located in Florida. Altogether, these doctors prescribed 19 million dosage units of oxycodone in 2009. Estimates of the numbers of pain clinics located in South Florida vary, but most sources say between 150 and 175. (3, 4) Many of these clinics are “pill mills,” where doctors freely prescribe controlled substances with little regard to usual prescribing standards and guidelines. Are all these clinics pill mills? No. Some of the pain clinics are legitimate, and their doctors follow best practice guidelines, providing quality care to patients with pain. But careful monitoring and screening for adverse events, including the development of addiction, takes time. A conscientious doctor, trying to do a good job, isn’t going to be able to see fifty pain patients in one day. I’ve talked to addicts who were previously patients at these pill mills. They describe how they were shuffled through rapidly, sometimes not even seeing the doctor. Some addicts say they were asked what pills they wanted, and quickly written that prescription, with little or no conversation beyond that. That was the extent of the visit. It’s estimated that setting up a prescription monitoring program costs about one million dollars. The Florida Prescription Drug Monitoring Program Fund, Inc., a non-profit organization dedicated to raising money for the program, says on their website that they’ve already raised at least half of that from donations. Other states have received the Harold Rogers grant money, available from the federal government to set up these monitoring databases. This leads me to question the excuse of “budget cuts” as the reason for Governor Scott’s poor decision. I’ve also seen internet stories that mention the governor’s fear of invasion of privacy. This is a legitimate concern, but there are ways to safeguard the information in such a database, and laws that can regulate who has access. I’m no fan of the government peering into my business, but this database is essential, given the overwhelming numbers of people struggling with pain pill addiction. For a description of the ways in which the North Carolina prescription monitoring database has helped me help my patients, please see the preceding blog entry. It’s been a lifesaver. Substance Abuse and Mental Health Services Administration (2010). Results from the 2009 National Survey on Drug Use and Health: Volume I. Summary of National Findings (Office of Applied Studies, NSDUH Series H-38A, HHS Publication No. SMA 10-4586Findings). Rockville, MD.